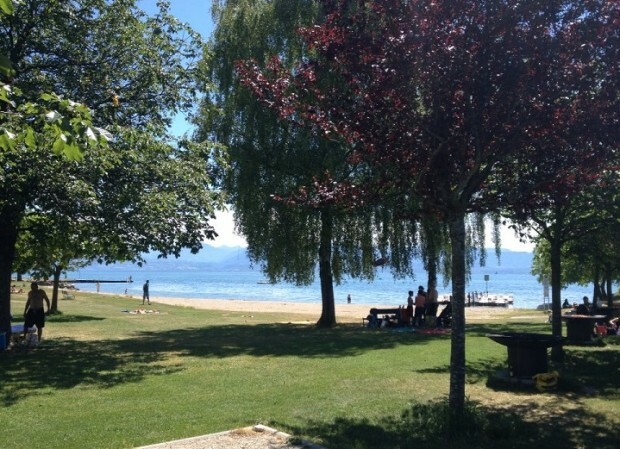 Summer’s back and the sun is out: what could be better than heading to one of the fab beaches on Lake Léman with a picnic basket and your little ones in tow? 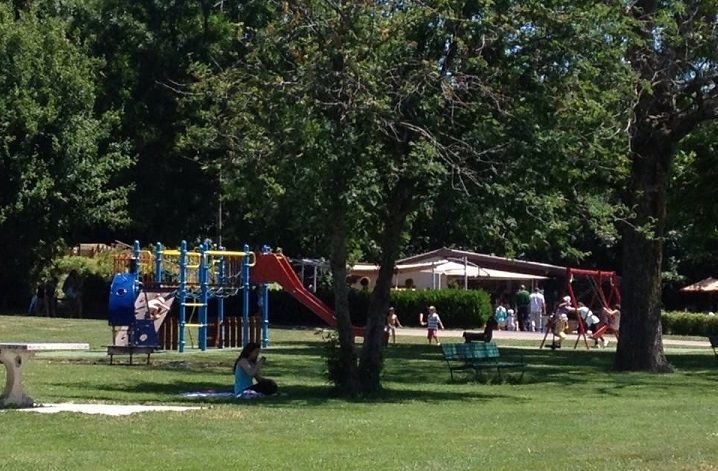 This weekend we did just that and – eager to try somewhere new – we spent a great afternoon at the Plage de Rolle in Canton Vaud. Located in the chocolate-box-pretty lakeside village of Rolle, this vast, lovely beach is one of the many hidden treasures of La Côte region. Equipped with a large playground, table tennis, a sandy area right on the lake shore, a buvette and a kayak/pedalos rental place, this is definitely one of our favourite family beaches in the area. As you can see from these photos, there is plenty of natural shade, which makes this beach perfect for families with young babies or toddlers. 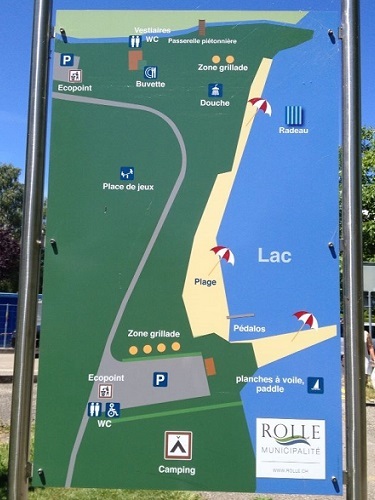 If you like the idea of a BBQ on the beach, you’ll find two different “zone grillade” with free BBQ stations at the opposite ends of the park, as well as showers and public toilets. 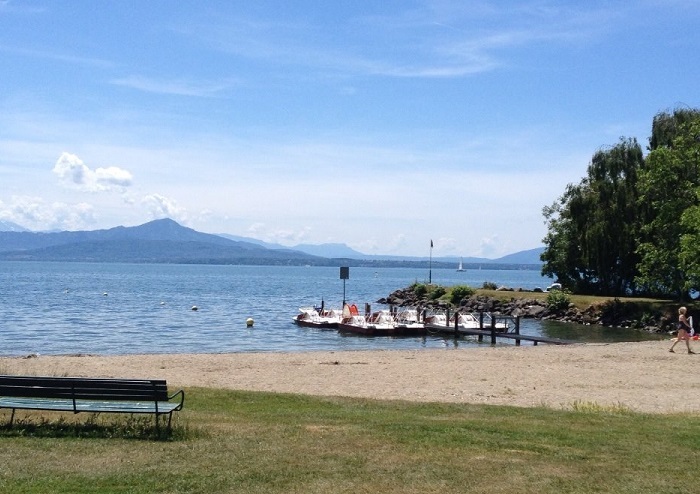 The beach is quite easy to find, just drive through the village of Rolle towards Lausanne and turn right when you see the signs for the Camping de Rolle aux Vernes — you’ll find the beach and parking lot at the end of Chemin de la Plage.